Hey Resort Girls, want to add some spice to your life? What about at your next RG party? Or how about every night on your table, and in your dessert or coffee? How? By using Chef Belinda’s unique secret spice formula! Maybe it was her RG days traveling the world, extensively experiencing flavorful foods, or her years as a personal chef that inspired her spices. From my short and very pleasant conversation with Belinda, I’m thinking it might have been both. 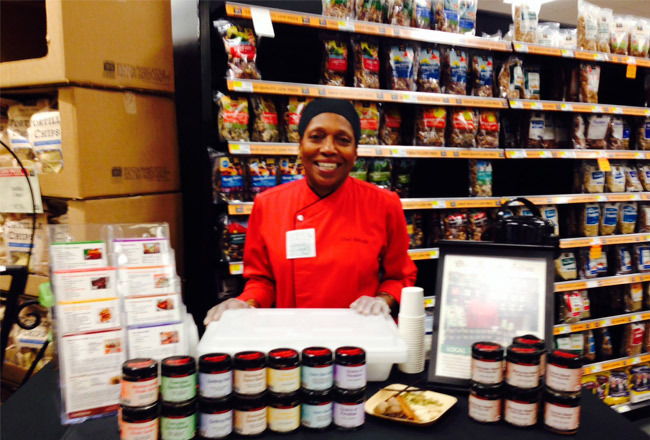 I like to talk to people, and when I saw Chef Belinda signing in at Whole Foods for her display demo day – I wanted to meet her. She had such a beautiful smile and a vibrant personality that I wanted to see what her products were all about. And yes, I just went up to her and asked. She said spices were her specialty; and mixing up and picking the right spices are things this Resort Girl can admit she has little to no talent in. 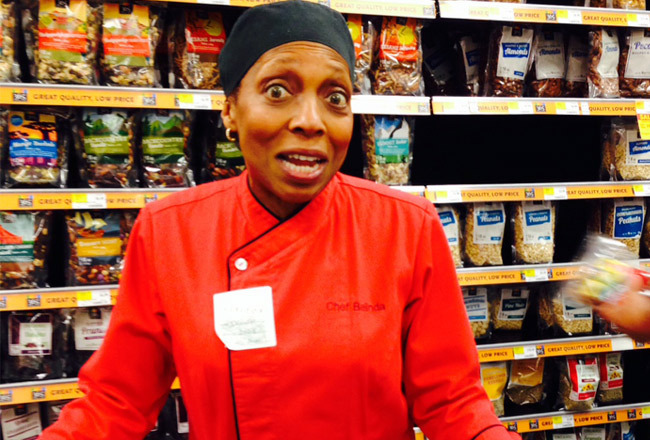 Spicing is a science and Chef Belinda has got it down to a perfect blend. Well, I should say blends. There are two main spice blends— coffee and savory. Some great RG everyday and entertaining spices are Caribbean Blend, Mediterranean Steak, Grilling Rub, Seafood and the Everyday Blend. I got the Grilling Rub for a guy friend and the Everyday Blend for myself – my chicken and veggies taste so savory now. Chef Belinda imports her “raw” spices from around the world and then mixes them up in her “top secret” formulas, she says in describing her passion for flavor. “I market my blends as an ‘artisan’ product, meaning I mix them in small batches so the freshness is not compromised,” she explains. The mixing and packaging are an art, combining exotic and very fresh spices from many sources she has developed across the globe. Chef Belinda also has color-coded recipe cards to go with each spice. She gave me the ones for my chosen spices. The spicy oven ribs look so good, I’m going to go back and buy myself a Grilling Rub. Some other recipes can be found on Chef Belinda’s blog at http://flyingfoodie.blogspot.com/. Best of all, you can find her spices in over 20 Whole Foods stores or buy them from her website at www.chefbelinda.com. Add some spice to your Resort Girl life… with Chef Belinda’s savory spice blends.